Instead of partaking in the drunken revelry and debauchery, I decided to stay home and work. SERIOUSLY! I really don't know what's wrong with me. I think I'm still trying to find a balance in working for myself. Oh well. There's always next year. Pat and I did watch the parade in Fairhope last night before Port Trio (the band he's in) played at MyPlace. 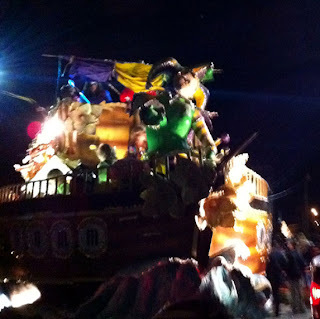 That's how I was able to capture all these sub-par photos with my phone. 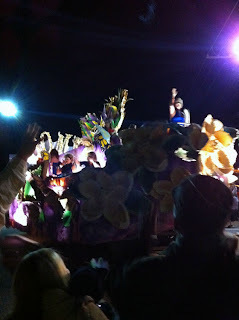 So, I did do some Mardi Gras-ing, but not near like I used to in high school and college. Now, I've got bigger fish to fry like the Button Swap. Yesterday, I sorted through my buttons. Button sorting was a long process. (I've got a LOT of buttons.) But, I finally settled on the buttons I will be sending my partner, Maryanne at Zingala's Workshop. However, first I need to package them up all nice and pretty. I'll share pictures of them after she receives them. I don't want to spoil the surprise. Now that I've completed reading and commenting on the list of blogs for the Bead Soup, I found out that I'm getting a surprise of my own. I won a giveaway from Beth at Vintage Sweets. Yet, I'm not sure exactly what I've won, since the prize is a "Grab Bag Surprise"
I love surprises, but I hate the anticipation of not knowing. I'll fill you in when the prize package gets here! I can't wait. 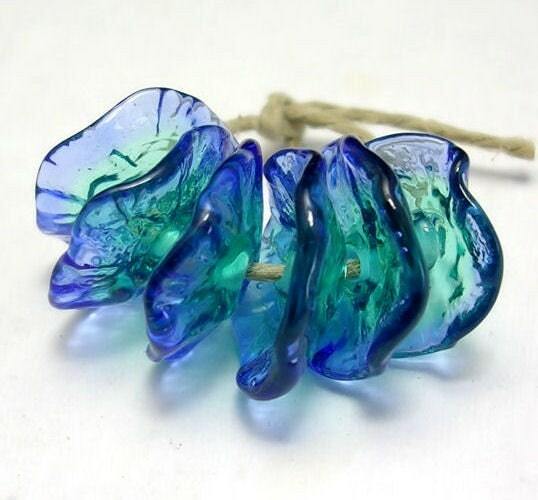 Speaking of packages in the mail, I broke down and ordered me these Fairy Flowers from Mermaid Glass on Etsy. Since I've gone and mentioned Etsy. . . 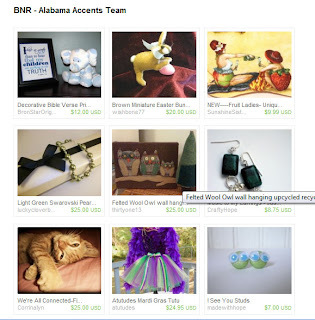 The Alabama Accents Team has a BNR Treasury going on right now. This is the first time I've heard of BNR. Apparently, it stands for "Buy and Replace" Basically, if you buy an item from the treasury, an item from your own shop will be chosen to replace the item you bought. Very interesting concept. There are rules/details about how to do this on the treasury page. 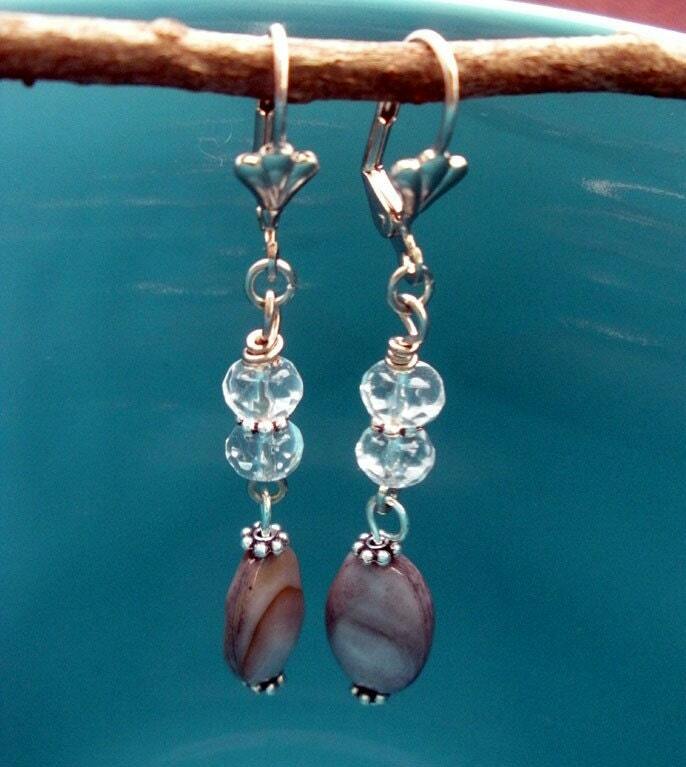 Lastly, I've got a new pair of earrings in the shop. I actually had a different pair, but they got snatched up pretty quickly!! I'm not complaining. . . 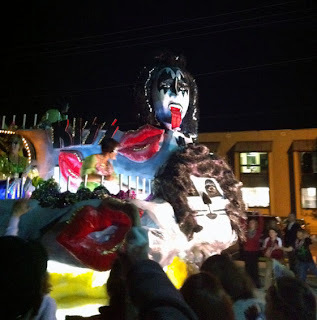 I know I should share some Mardi Gras links or my menu for the week or something. But, this week's all crazy and I've been tackling some Spring Cleaning around the house so. . .I apologize. That's why this post sounds and feels rushed. I wanted to make sure I posted all the news in my neck of the woods, but I still have lots to do. So for now . . . . Tha, tha, tha, that's all folks!